The California Supreme Court today issued its decision in Reid v. Google. The Court rejected strict application of the stray remarks doctrine in California discrimination cases. Under this doctrine, statements that non-decision-makers make or that decision makers make outside of the decisional process are deemed stray, and they are irrelevant and insufficient to avoid summary judgment. Plaintiff Brian Reid filed an age discrimination lawsuit against his former employer, Google, Inc. The trial judge, Hon. 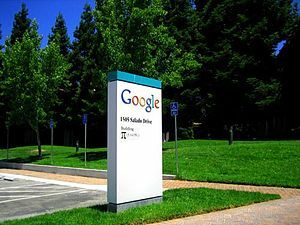 William J. Elfving, granted Google‘s summary judgment motion relating to plaintiff‘s claims. The Court of Appeal reversed. Does a trial court‘s failure to rule on a party‘s evidentiary objections relating to a summary judgment motion waive the objections on appeal? Should California courts follow the federal courts in adopting the stray remarks doctrine in employment discrimination cases? The Court of Appeal found that the trial court’s failure to issue express rulings on evidentiary objections did not waive those objections on appeal. And the Court of Appeal further refused to apply the stray remarks doctrine to exclude alleged discriminatory statements that Reid‘s supervisors and coworkers made. Regarding the waiver issue, the Court of Appeal correctly determined that a finding of waiver does not depend on whether a trial court rules expressly on evidentiary objections and that Google‘s filing of written evidentiary objections before the summary judgment hearing preserved them on appeal. (Code Civ. Proc., § 437c, subds. (b)(5), (d).) After a party objects to evidence, the trial court must then rule on those objections. If the trial court fails to rule after a party has properly objected, the evidentiary objections are not deemed waived on appeal. Regarding the stray remarks issue, the Court of Appeal also correctly determined that application of the stray remarks doctrine is unnecessary and its categorical exclusion of evidence might lead to unfair results. Robin Weideman of the California Labor & Employment Law Blog gives a nice analysis of the stray remarks portion of today’s ruling. The attorneys for plaintiff and appellant were Barry L. Bunshoft, Ray L. Wong, Paul J. Killion, Lorraine P. Ocheltree, Eden E. Anderson and Allegra A. Jones. Charlotte E. Fishman for California Employment Lawyers Association filed an Amicus Curiae on behalf of Plaintiff and Appellant. Thomas W. Osborne, Melvin Radowitz and Barbara A. Jones for AARP also filed an Amicus Curiae on behalf of Plaintiff and Appellant. The attorneys for defendant and respondent were Fred W. Alvarez, Marina C. Tsatalis, Amy K. Todd, Marvin Dunson III, Koray J. Bulut, Elizabeth C. Tippett, Jeanna Steele, Gary M. Gansle of Wilson Sonsini and Paul W. Cane, Jr. of Paul Hastings. Greines, Martin, Stein & Richland and Robert A. Olson for Association of Southern California Defense Counsel filed an Amicus Curiae on behalf of Defendant and Respondent. Orrick, Herrington & Sutcliffe‘s Gary S. Siniscalco, Patricia K. Gillette, Greg J. Richardson and Lynne C. Hermle on behalf of the Employers Group and California Employment Law Council also filed an Amici Curiae on behalf of Defendant and Respondent. Jonathan B. Steiner, Jay-Allen Eisen, Jon B. Eisenberg, Dennis A. Fischer, Steven L. Mayer, Robert A. Olson, Douglas R. Young, and Robin Meadow also filed an Amicus Curiae.